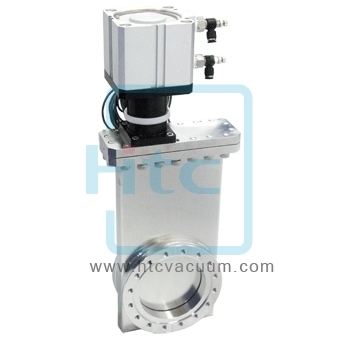 Htc vacuum is a leading ultra-high vacuum (UHV) gate valves supplier and manufacturer in Taiwan and China. 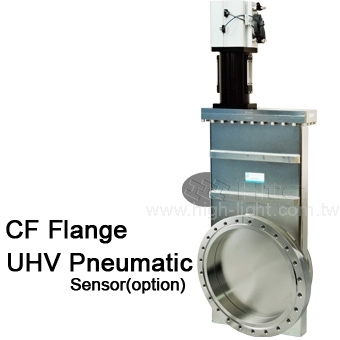 UHV gate valve assemblies consist of three key components: an actuator, a carriage/gate and a valve body. 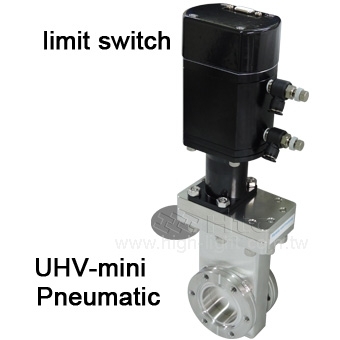 Htc vacuum offers gate valves that have two series: HV series and UHV series. 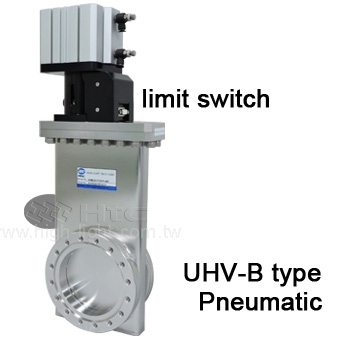 HV series valves are rotary action, linear travel gate valves. The gate carriage moves in the valve body on a set of wheels, moved back and forth by a manual or pneumatically-actuated valve stem. Htc vacuum offers a wide variety of valve types in a comprehensive range of sizes. 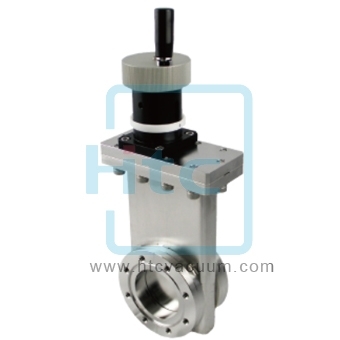 Htc vacuum gate valves are divided into manual and pneumatical, with bellows and without bellows. 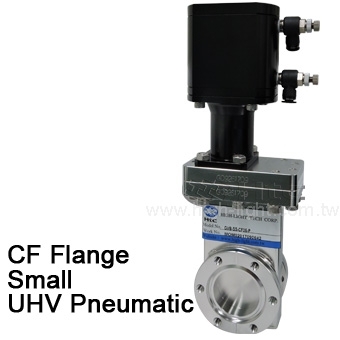 And the vacuum gate valves are available with KF, ISO, ANSI, JIS, and CF flange. Htc designs all series gate valves suited for vacuum applications with venting processes, high vacuum applications in pumping systems, semiconductor technology, research systems, etc. Larger or special size available upon request, contact us with your specific requirements. Please offer your drawings to contact us, we will contact with you soon. 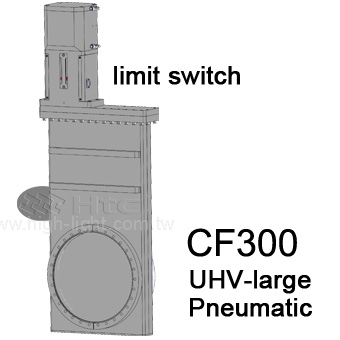 Htc vacuum (HIGHLIGHT TECH CORP.)gate valves are appropriate for both HV and UHV applications and can be operated in pneumatic or in manual modes. Htc gate valves can be used with Cryo-Pumps, Turbomolecular Pumps or in any applications requiring clean, high life cycle, and low maintenance processing. 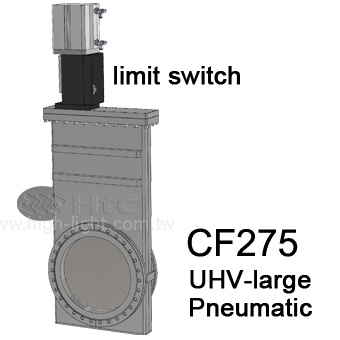 Htc gate valves are available in all flange configurations, KF, ISO, ANSI, JIS, and CF. Htc vacuum gate valve are available with various options to allow you to select exactly the features you need for your applications. You can add the roughing and gauge ports on the basic valve style. 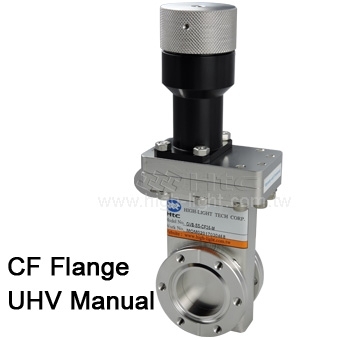 we added an elbow with a CF flange on the valve body to meet the special requirement of the customer. If you have any unique inquiry please contact us, we can discuss about the details of port type, size and location. There are some critical applications of valves in Lab and research center which need RGA (Residual Gas Analyzer) data of valves to confirm the outgassing source of the system. Htc has the integrated RGA system with Inficon MPH100M analyzer with industry-leading data collection speed, minimum detectable partial pressure and signal-to-noise ratio. Htc is able to provide customers the RGA report for the price of the fixture and norminal labor charge.